We are a modern law firm covering most areas of legal practice. We deal with a wide range of clients, advising both businesses and individuals on many aspects of legal work. All our departments offer free initial advice with no obligation – please phone us to discuss your matter at your convenience. Goodge Law was established in 2001 and has successfully built up a loyal client base. Situated in the West End of London, we are conveniently positioned for clients working in town. We pride ourselves on being a progressive and forward-thinking firm offering a personable, friendly and efficient service to our clients. Mike Greenstein has been a solicitor since 1996 and joined Goodge Law in 2005 as a personal injury and medical negligence expert. He enjoys getting good results for his clients and making sure insurance companies pay fair settlements. He is married with two children. 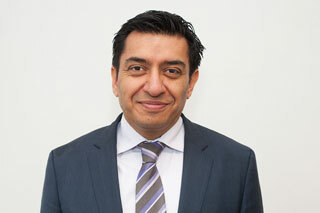 Rajesh Kalia founded Goodge Law over 10 years ago. 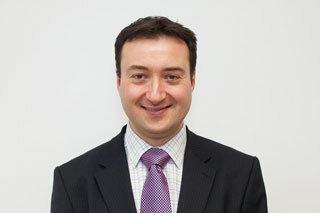 He has a wide range of litigation experience including commercial debts, contract disputes, property litigation, employment disputes and wills. He enjoys working on a wide range of subject matter and solving problems for his clients. He is married with two children. About Us	Overall rating:	5	out of 5 based on 62	reviews.